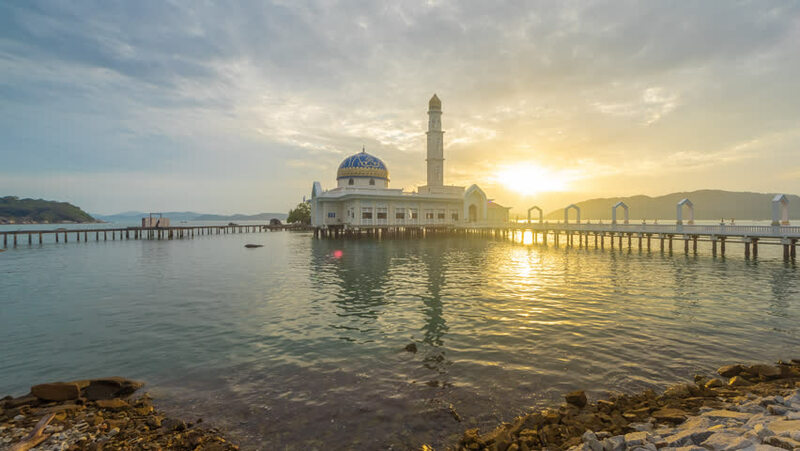 Beautiful time lapse of floating mosque at sunrise from night to day at dawn in an island. Masjid 1000 Selawat, Pangkor, Malaysia. Move down motion timelapse. Prores 4K. 4k00:16Beautiful time lapse of floating mosque at sunrise from night to day at dawn in an island. Masjid 1000 Selawat, Slide down motion timelapse. Pangkor, Malaysia. Prores 4K. hd00:16Beautiful time lapse of floating mosque at sunrise from night to day at dawn in an island. Masjid 1000 Selawat, Pangkor, Malaysia. Prores 4K. 4k00:16Beautiful time lapse of floating mosque at sunrise from night to day at dawn in an island. Masjid 1000 Selawat, Pangkor, Malaysia. Prores 4K. 4k00:14Sunrise Time Lapse at a Mosque by a lake in Putrajaya, Malaysia. Tilt Down motion timelapse. 4k00:20Beautiful and clear sunrise Time Lapse at a mosque by a lake with reflection in water in Putrajaya, Malaysia. 4k00:12Sunset footage at a Mosque. Putra Mosque Putrajaya, Malaysia. hd00:20Sunrise Time Lapse at Putra Mosque by a lake in Putrajaya, Malaysia. Pan up Motion Timelapse.